UNSETTLED THROUGH TOMORROW: A broad upper trough is forming over the eastern U.S. today, and will make the air more unstable across Alabama. This will mean scattered to numerous showers and storms over the next 36 hours… most of them coming from 12:00 noon until 10:00 p.m.. but late night or morning shower is possible as well. A few showers are forming over East Alabama as I write this around 6:00 this morning… mainly over Calhoun, Cherokee, and DeKalb Counties. 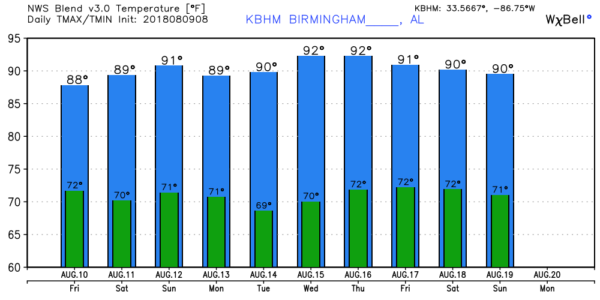 The chance of any one community getting wet today and tomorrow is around 60 percent, and highs will be mostly in the mid to upper 80s, which is below average for mid-August in Alabama. 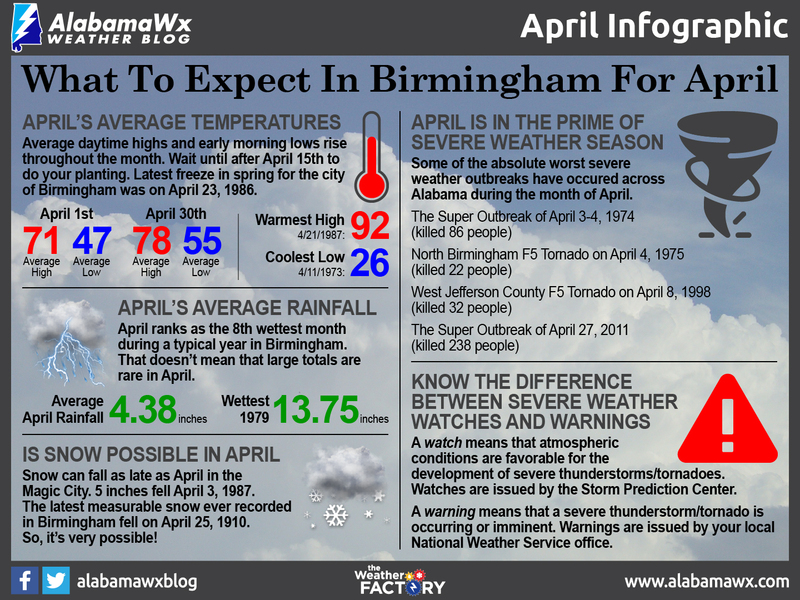 THE ALABAMA WEEKEND: We are trending the forecast toward drier weather Saturday; models now suggest a wave in the upper atmosphere will move east of our state, and sinking air on the back side of the wave should suppress shower formation. So, we now expect a partly to mostly sunny sky Saturday with only isolated afternoon showers. Then, for Sunday, the sky will be partly sunny with scattered, mostly afternoon and evening showers and thunderstorms. The high Saturday will be in the low 90s, and close to 90 Sunday. NEXT WEEK: We will maintain the chance of scattered showers and storms Monday, but Tuesday and Wednesday look relatively dry with only isolated afternoon showers both days. Then, showers and storms could increase again Thursday and Friday with a surface boundary approaching from the north. 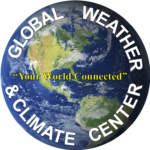 Highs will be close to 90; see the Weather Xtreme video for maps, graphics, and more details. TROPICS: Tropical Storm Debby will dissipate today over the colder water of the North Atlantic; the rest of the Atlantic basin remains very quiet. Dry air from the African deserts, and cool sea surface temperatures continue out in the deep tropics, meaning things will likely stay calm for a while. ON THIS DATE IN 2004: Tropical Depression Three forms in the Atlantic 50 miles southeast of Grenada…. 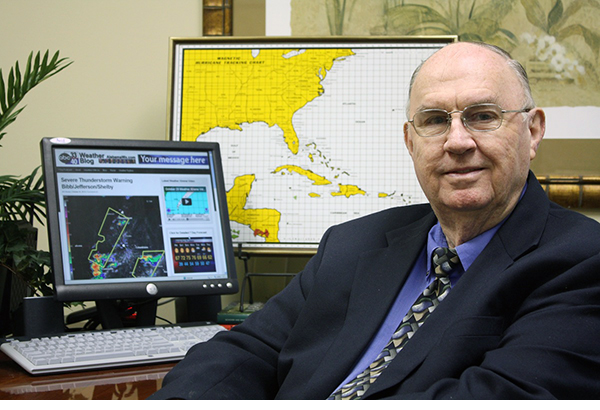 it would go on to become Hurricane Charley, a category four storm. It would be the strongest hurricane to hit southwest Florida since Hurricane Donna in 1960, then produced severe damage as it made landfall on the peninsula in Punta Gorda on August 13.